NBC 6's Steve Litz reports on the efforts being made on the decriminalization of marijuana. Miami Beach's first medical marijuana dispensary opened Friday, more than a year after Florida's amendment allowing cannabis for medical use passed. Surterra Wellness on Alton Road opened its doors to offer products to registered medical marijuana patients. 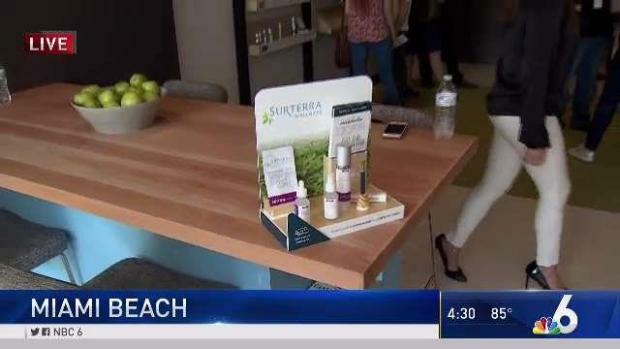 "We are bringing awareness, we are de-stigmatizing an industry that is very stigmatized, people are finding their wellness through our products," Surterra's Terese Cerna said. Miami criminal defense attorney Albert Quirantes warns of a possible downside. "It will probably cut down on drug dealers but it may increase other crimes up such as addiction crimes, such as DUIs and those kind of crimes," he said. The dispensary opens on the same day that Senate minority leader Chuck Schumer announced legislation that would decriminalize marijuana at the federal level, with the New York senator looking to separate marijuana from harder drugs like cocaine and heroin. Marijuana advocates have long complained of wasted law enforcement resources dedicated to cracking down on pot smokers. An NBC News-Wall Street Journal survey from January shows 60 percent of people polled support allowing adults to buy marijuana for personal use. In the 18 to 34 age range, 73 percent support legalization. Among people 65 years and older, 38 percent support legalizing marijuana. Somebody who's 100 percent against legalization is US Attorney General Jeff Sessions. "I'm not sure we're going to be a better, healthier nation if we have marijuana being sold at every corner grocery store," Sessions said during a speech at the National Association of Attorneys General in February. "I just don't think that's going to be good for us."